Ottawa Champions fans joined me and my fellow City Councillors today to celebrate the Ottawa Champion’s first CanAm league victory! 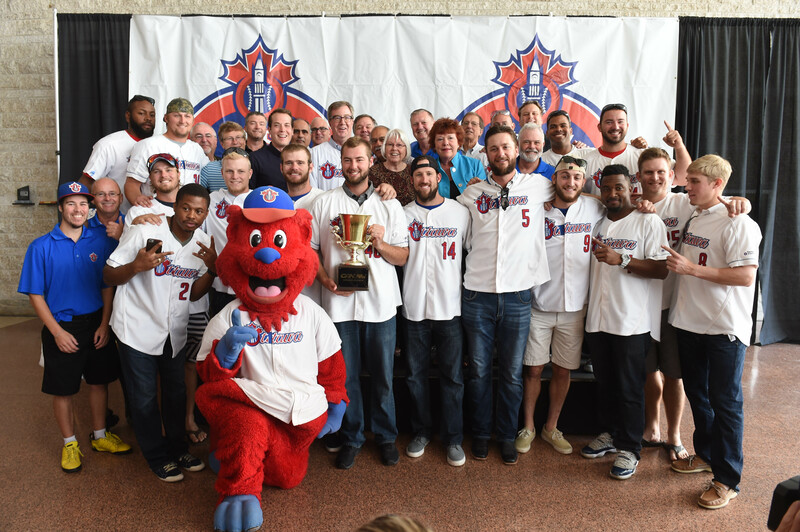 Nearly 300 people attended a rally held in Jean Pigott at City Hall, along with players from the Ottawa Champions team and members of the Ottawa Champions office. It was great to hear from David Gourlay, President of the Ottawa Champions and from Sebastien Boucher, local Ottawa Champions player, as they outlined the highlights of their season and the impact Baseball is having in our community. The rally concluded with my proclamation of September 19 as Ottawa Champions Day in Ottawa, and with a photo and autograph session with the Ottawa Champions. Even Champ the mascot was part of the fun! I’d like to thank all the fans who came out today to congratulate the team on winning the Can-Am League title, and I look forward to celebrating many more of their successes with you. Let’s go Champions, let’s go!